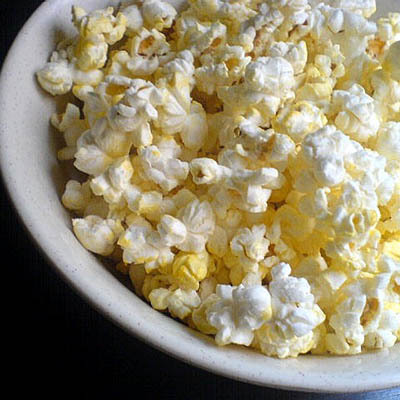 How about making your own microwave popcorn in a bag with real butter for a gluten-free snack? Put one third cup of popcorn kernels in a brown paper lunch bag and roll the top closed tight. Place the bag upright in the microwave and cook about 90 seconds, until the kernels stop popping. Take it out, add salt, melted butter, even grated cheese to the bag and shake it up. That’s real food, a delicious snack, made in minutes. Hi Faith – you make no mention of oil here; am I understanding this correctly? Hello, J. I know lots of homemade popcorn-in-a-bag recipes call for a teaspoon (or more) of oil, but it really isn’t necessary. Need more reassurance? Here’s how they do it on the kitchn: http://www.thekitchn.com/how-to-make-popcorn-in-the-microwave-227332.